International Hand Foundation: Daughter says Mandela "still there"
Daughter says Mandela "still there"
African News - Daughter says Mandela "still there"
Accompanied by a group of grandchildren, she angrily criticised the "bad taste" of foreign media she said were intruding on the privacy of Mandela and his family at this difficult time. 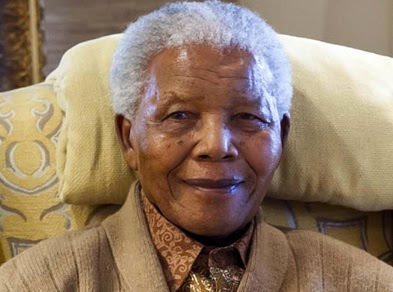 Mandela's fourth hospitalisation in six months has forced a growing realisation among South Africans that the man regarded as the father of their post-apartheid "Rainbow Nation" will not be among them forever. U.S. President Barack Obama, who is due to visit South Africa this weekend, said his thoughts and prayers were with the Mandela family and South Africans. Speaking in Senegal, his first stop on a three-nation Africa tour, Obama said that if Mandela dies, his legacy will live on for ages. He confirmed he still planned to travel to South Africa in the coming days, in response to speculation he might re-schedule his trip because of Mandela's deteriorating health.